The hyper-hero “Deadpool,” the latest Marvel superhero everyone’s talking about and can’t get enough of has landed number one at the Phils.’ box-office with an impressive haul of P 145 million on its first five days of release (opened Feb. 10). Dominating a crowded week and despite its R-rating, “Deadpool” has seen new and repeat viewing cineastes such that its box-office dominance carried on over the red-hot Valentine’s weekend. Its opening weekend grossed a total of P 145M, surpassing that of “Fifty Shades of Grey’s” opening weekend at P94M. “Deadpool” now holds the Biggest Opening Weekend for an R-rated film all-time industry-wide. So far, with its remarkable opening weekend, “Deadpool” now stands as the Biggest Opening Weekend for the year industry-wide, beating “Everything About Her” and is now the 2nd Biggest Fox Opening Weekend all-time, outranking “Taken’s” P106.8M and next to “X-Men: Days of Future Past’s” PhP175M. SM MALL OF ASIA (6.7M); SM MEGAMALL (6.2M); SM NORTH EDSA/THE BLOCK (5.8M); TRINOMA (4.3M); SM CEBU (3.7M); GLORIETTA4 (3.5M); GREENBELT3 (3.4M); GATEWAY CINEPLEX/ALIMALL (3.1M); SM AURA (3M); EASTWOOD (2.7M); BONIFACIO HIGHSTREET (2.46M); ALABANG TOWN CENTER (2.45M); AYALA CEBU(2.26M); THEATREMALL (2.23M); SM CLARK (2.14M); POWERPLANT (2.11M); SM SOUTHMALL (2M); SM ILOILO (1.98M); SHANG CINEPLEX (1.96M) AND NEWPORT (1.92M). “Deadpool” which also opened in the US at top spot, starring Ryan Reynolds and directed by first timed director Tim Miller is based upon Marvel Comics’ most unconventional anti-hero tells the origin story of former Special Forces operative turned mercenary Wade Wilson, who after being subjected to a rogue experiment that leaves him with accelerated healing powers adopts the alter ego Deadpool. Armed with his new abilities and a dark, twisted sense of humor, Deadpool hunts down the man who nearly destroyed his life. Also starring in “Deadpool” are Morena Baccarin, TJ Miller, Ed Skrein, Gina Carano and Brianna Hildebrand. 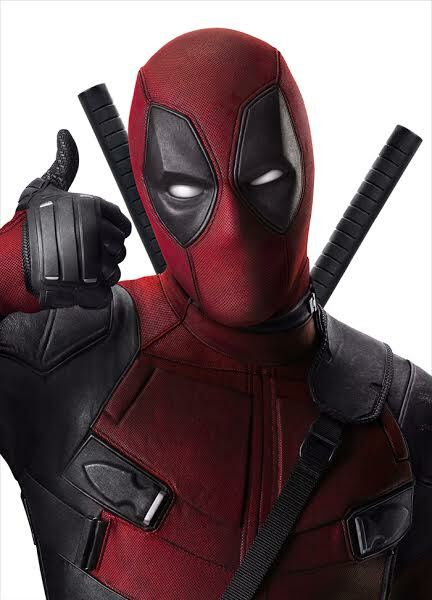 “Deadpool” is currently in cinemas nationwide in 2D, IMAX and 4DX screens from 20th Century Fox distributed by Warner Bros.
Kamusta naman ang movie daw sa valentine’s ng DeadALDUB..?